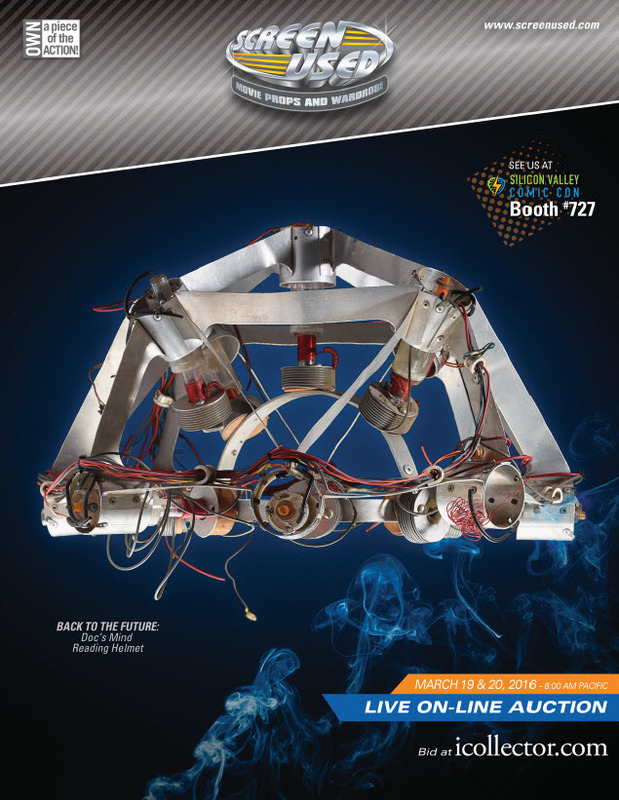 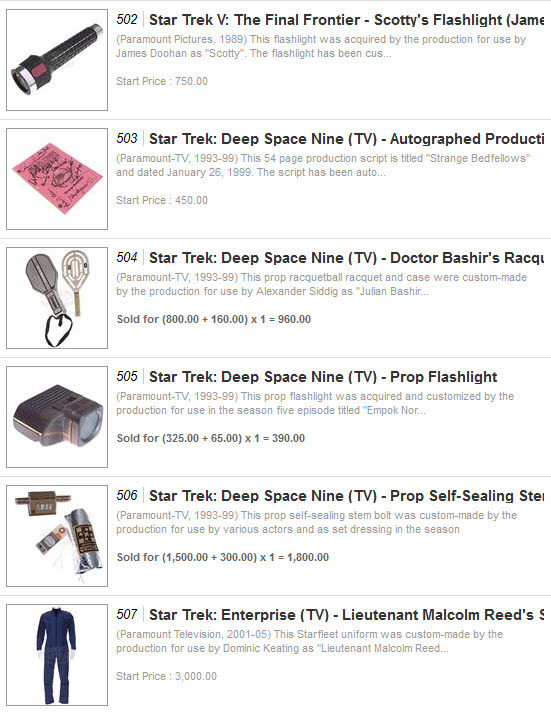 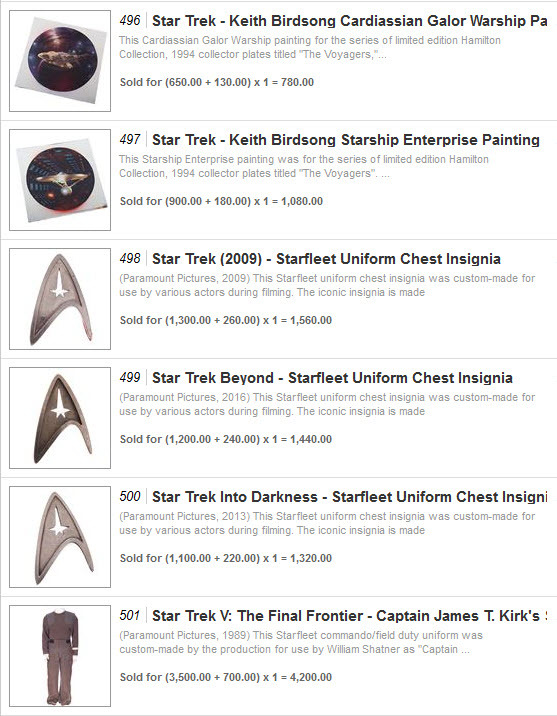 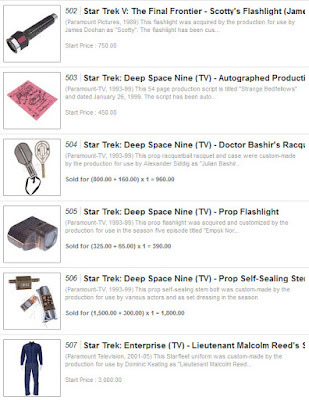 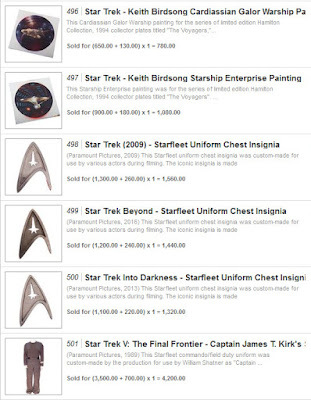 Presented below is the complete set of final prices realized for the 17 lots of Star Trek memorabilia that were offered in the Day 2 live session of the ScreenUsed Spring 2016 Movie Prop and Wardrobe Auction; which concluded on March 20th via online bidding at iCollector.com. 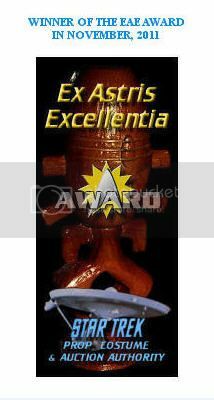 The highest price witnessed for a Star Trek item in the sale was $15,600 for a William Shatner used Starfleet EVA Suit from Star Trek: The Motion Picture (1979), which consisted of a brown, black and white jumpsuit with matching gloves and a back/chest life support pack. 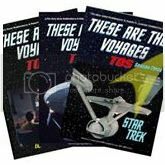 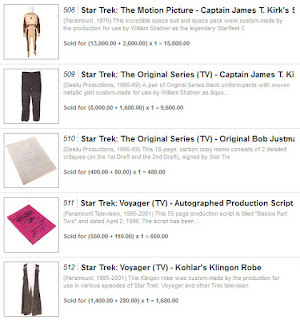 A pair of William Shatner black Starfleet uniform trousers from TOS realized $9,600; and a Shatner worn Starfleet commando-style field duty uniform from Star Trek V: The Final Frontier sold for $4,200.